Sean saw Tony’s Hitchhiker’s Guide tattoo and felt compelled to share his as well. It was a belated 32nd birthday present to himself as he has been a Hitchhiker’s fan for 20 years. Ink was done by Josh Woods at Black 13 in Nashville, TN. 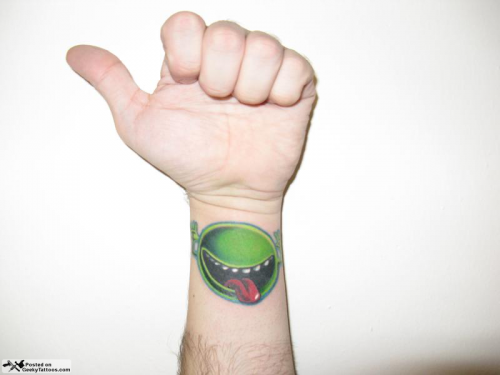 Tagged with Black 13, Hitchhiker's Guide to the Galaxy, wrist.